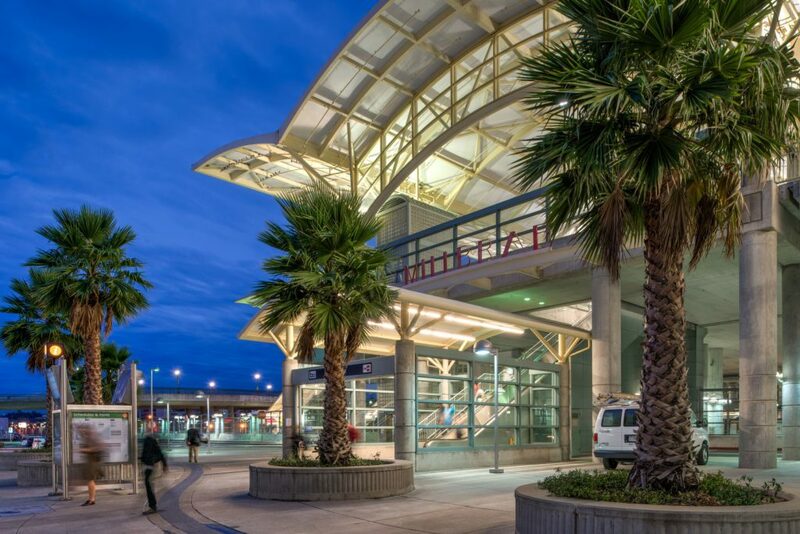 The largest station within the BART system, Millbrae links four distinct transit systems — SamTrans bus lines, BART and Caltrain as well as air travel via San Francisco International Airport. 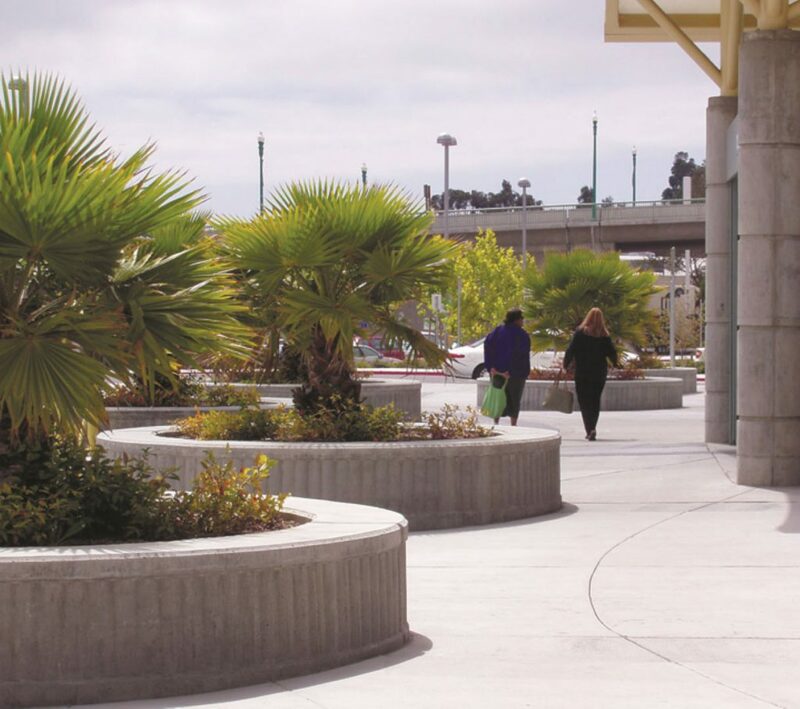 PGAdesign designed a broad promenade along a green spine for the many pedestrians walking to and from the parking lot. 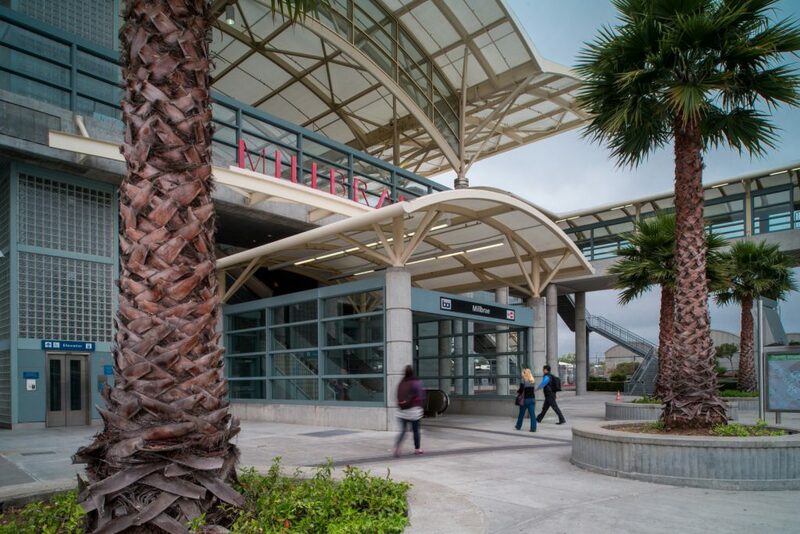 A scalloped edge accommodates 12 bus bays. All landscape elements are situated along lines of an intentionally forced perspective, further enhanced by paving patterns, planter heights and the spacing between trees. 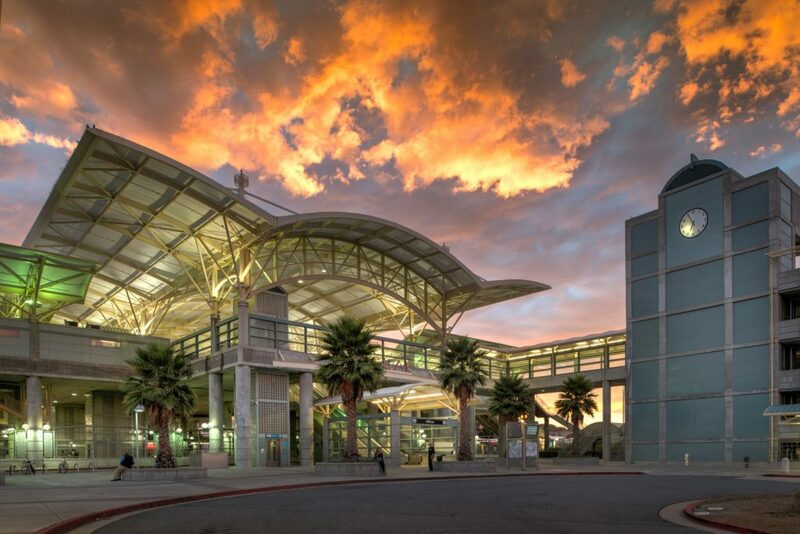 All contribute to the grand scale of an important transit hub.